This online module will review the basics of sleep and rest. It will bring in the importance of sleep in the clinical setting and what nurses can do to assess and promote sleep and rest. In sleep there are cyclical states of altered consciousness. There is a selective response to external stimuli during sleep and decreased motor activity and sensory perception. Rest simply means there is little to no activity that is stress-free and leads to feeling refreshed. When you sleep there is an stress free zonealtered level of consciousness and decreased sensory perceptionincreased motor activity . In rest you experience little to no activityselective response to external stimuli . During sleep there are relaxing momentscycles . Rest helps you to feel refreshedlively . Which items affect sleep quality? 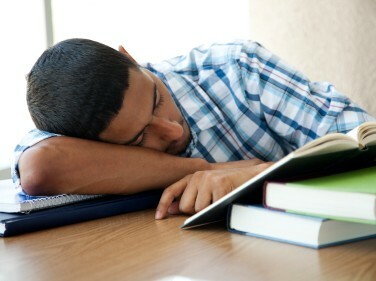 What 2 items in the photo below may be factors in disrupting sleep? Click on the correct two areas of the photo to get the question correct. Choose the photo of an individual who is doing something that will provide for good sleep. sleep apnea is a disorder characterized by the lack of airflow through the nose and mouth for periods of 10 seconds or longer during sleep. There are three types of sleep apnea: central, obstructive, and mixed apnea. parasomnias are sleep problems that include somnambulism (sleepwalking), night terrors, nightmares, nocturnal enuresis (bed-wetting), body rocking, and bruxism (teeth grinding). Definitions taken directly from Potter & Perry 9th Ed chapter 43.